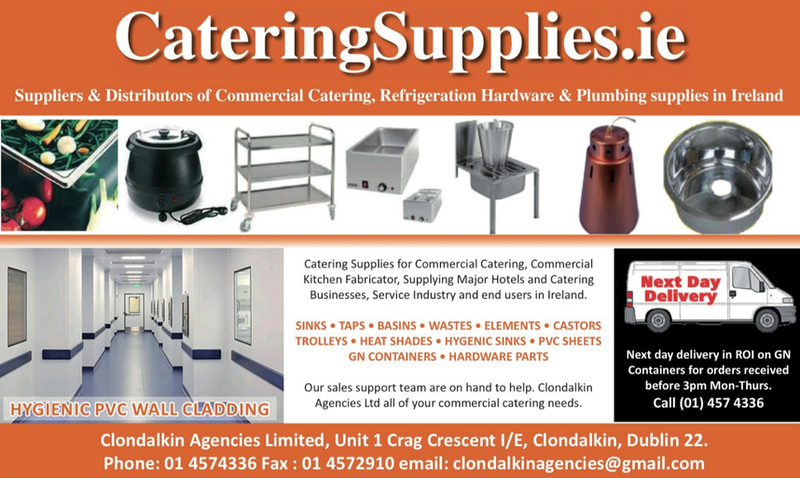 Irelands catering equipment supplier is open to both the trade and end users Monday to Friday 9:00 am to 5:00 pm. All our catering products are available for collection from our premises or can be delivered next day, by courier. Goods ordered to late for dispatch on a Friday will only be dispatched on the Monday. For our full product list or to get a brochure contact us on (353) 1 4574336.